Do you have a photo project you return to for inspiration and to unwind from daily pressure and stress? And, maybe even more importantly, a project that you can easily throw yourself into when you have some time off? I am a big believer in working on personal photo projects. It keeps you focused. Furthermore, nothing can add so much to your photographic development as working on a project. However, just the word «project» may throw many off the ground. It sounds a little pretentious or even prestigious, doesn’t it? Well, a personal photo project does not have to be either, nor something you need to go far away to pursue. In fact the closer it is to home and the less you put into it of prestige or high-flying prerequisites, the easier it will be to carry on working on the project. That is exactly the point with my backyard project. Those of you, who have followed my blog some time, know I return to this project every so often. It’s my way of finding balance when everything comes falling down upon me, or when I am in some sort of limbo, when I can’t find inspiration or don’t feel like photographing. My backyard project has no ambitions or achievements associated with it. It’s just something I do for fun. Even more so, I allow myself to do anything that I would not otherwise do, for instance when working for a client or doing «serious» projects. I let myself loose. Let myself go with any whim or impulse that comes to mind. I certainly break all the rules in the book, whether it is shooting without focusing, using «wrong» lenses, or like the pictures in this post, shoot with very long shutter speeds without using a tripod. For other posts with pictures from my backyard project, you may look up this entries: My Backyard Project, My Personal Challenge, The World from the Backyard, Instagram my Backyard, Out of Comfort Zone and Challenge and Expand. I truly recommend any of you who are serious about your photography to work on a project like this. It expands your vision, it helps find inspiration when none is, it develops you craft, it makes you less tense when you are shooting more important work, it extends you photographic platform. 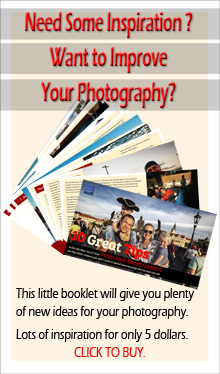 Do you have a photo project, that is easily within reach to do and that you return to every so often? Facts about the photos: All photos were taken with a Canon Eos 5D with a 24-104 mm lens, mostly at the long end of the lens, like 85-105 mm. Shutter speed: 1 second. I hold the camera still for about half the time and then moved it in various ways for the reminder of the open shutter time. The aperture varies from f/16. to f/22. The photos were processed in Lightroom. I must admit I love photographing my backyard too Otto though I’ve never really thought of it as a project. But you’re right, it’s perfect, so close when inspiration is short and it changes with the seasons making it easy to shoot. Yea, I know about this , but it is in a forgotten corner. You have illustrated your case most beautifully Otto and you are right, a project to think about gives a lot of pleasure. Thank you. Yes, whatever is very close to home we often tend to forget, don’t we. The first image is especially interesting; I was wondering if you were deliberately panning the camera as you took the images. Thanks for the tutorial and for the nudge to step out of the box and experiment! And thank you for the lovely feedback. And, yes, I was deliberately panning the camera – as a matter of fact with all images. Otto! I just read two news feeds about your ‘namesake’ heading toward Nicaragua and Costa Rica! If you have any influence with Storm Otto, ask him to be nice, por favor! Many of my friends live in the storm’s projected path…. I know you have many friends in the path of this storm as well as others, but unfortunately I have no impact, despite the same name. I am sorry, but hope for the best for your friends. Perhaps with respect to you and your kind nature, Otto will be kind as well. I love those shots, so interesting. I think it’s great you have a project like this to go to, just because it’s fun. I am glad you think so. Thank you, Cathy. I think I’m going to start another one soon…. Otto, a great nourishing and nurturing project–your images are stunningly rendered. Thank you for the nice words, Sally. I love having a project, it motivates me and inspires my creativity, nearly at the end of this years project now, and already planning the next! Lovely ICM photo’s Otto. When I am feeling bored or uninspired, I always reach for a Lensbaby. It’s never ever failed me. Thank you, Lisa. I have never worked with a Lensbaby, but I think I should give it a try one of these days. I often think I will return to a particular photo at a later date when I have time to play and experiment with it. I want to learn more about Photoshop and I want to expand how I see and look at images. Alas, I seem never to get back to those photos that intrigued me so at the time. It’s a lack of discipline on my part. I love how you experimented with these otherwise very nice, mundane images. I love the half circle swirling effect on the top image. Great composition. I keep saying I’m going to do some more B & W street photography (like I have done in the past), but I never seem to get around to it (now that I’ve living further from the city centre). The weather has not been kind to us photographers recently either. Gale force winds, some heavy rain and yesterday, a heat wave so hot that I had to stay home. It really has been extraordinary weather in Melbourne and the surrounding suburbs. But maybe you can use that weather in abundance in your own environment to capture something extraordinary without having to go to the city centre? Great works! I really like them. You just make your exact case with these awesome pictures. It is a good suggestion to let yourself loose and just have fun..
I’m especially fond of the first and last photos. Autumn color is nice, but autumn’s also a time of great movement, and you’ve captured the feel of leaves being tossed by a wind that seems determined to force them to fall. I like the way you’ve framed them, too. I don’t have a project in the sense that you’re talking about here. But I’ve been toying with an idea that certainly would qualify. I celebrated my 70th birthday while I was traveling recently, and it occurred to me that it would be fun (!!!) to set up a second blog to document my 70th year: not a place for writing, but just a place to tuck photos of my own that appeal to me, along with occasional poetry, quotations, and so on. If I’m going to do that, I need to be about it, since nearly a month of my year has passed. Thanks for mentioning your project, and helping me focus on what may be my own. I love these images. They have such a wonderful dreamy quality. I love this project of yours! That is very nice to hear. Thank you, Cornelia. Good idea, Otto. I have been thinking to make a photo project of something that close to home. I guess creative mind will make the images unique regardless where they were taken. I like that association. Thank you, Jo. I have recently been focusing my attention on a stream I walk beside every morning on my way to pick up the daily Newspaper. My iPhone is my companion and it has proved a rewarding experience that will continue. That sounds like a great, little project. Thank for commenting, Andy. Your retreat is lovely, to be savored and enjoyed, nature’s subjects beautifully captured. Last fall and winter I took a lot of photographs on my daily jog. They are quite simple but I thoroughly enjoyed finding interesting scenes and some very beautiful subjects. I don’t have a project per se but I am inspired by your text. Thank you so much Otto. I don’t always have the time to read all the post I follow; But I am so glad I read yours this evening. I am once again moved and inspired by your simplicity. Your imperfectly focused photographs are beautiful as well. Thank you Otto. And thank you for the lovely feedback, Kathryn. Thank you. Happy Thanksgiving to you, too, Kathryn. Your photos show what can be done when the camera is as free as your mind. Very nice, Otto! And thank you for the lovely compliment, Phil. Great post, Otto. Recently, I find myself on the San Francisco Bay, photographing the bridges, boats and people. When I am feeling quieter, I also look to macro photography. Finding beauty in the close-ups of the vase of flowers in my home, or plants I find on my walks. Very serene. Mycket livfulla, vackra och tilltalande bilder Otto. Spännande teknik att börja med att hålla kameran stilla lite längre, vill jag testa. Har ett motiv som jag regelbundet fotar och som fascinerat mig sedan jag började fota. Har precis börjat fundera på att samla ihop dessa bilder och se över dem samtidigt så fortsätter jag så klart att fota där. Att söka motiv i isen är väl också ett projekt som jag återkommer till så ofta det är möjligt. Vattenspeglingar fascinerad mig också i tidigt skede och har stimulerat mig att testa olika fototekniker mest kanske bara för att se hur det blir. Your photographs pictured here are very artistic and very painterly. I think that when one focuses on anything for an extended period of time one notices more and observation skills increase. For example, when staying in one place and sketching or drawing one will definitely notice subtle things such as shadows and curves that are not noticeable had one not taken the effort to stop and focus attention. I believe you are right. Been focused over a longer periode definitely increases one’s perception and artistic understanding. Thanks, Peta. Yes, I have a project – taking photos on our allotment. I did it for a whole year every month and it was an amazing experience being so aware of the life all around me. Not only did I photograph wonderful vegetables but also spiders, masonry bees, butterflies, birds and even a squirrel. Thos silent mornings brought me great joy.